His acclaimed solo music has gained over 80 million hits on popular video sharing sites and since the release of his debut album in 2013 he has toured almost every continent on the planet, with an average of 150 concerts per year. 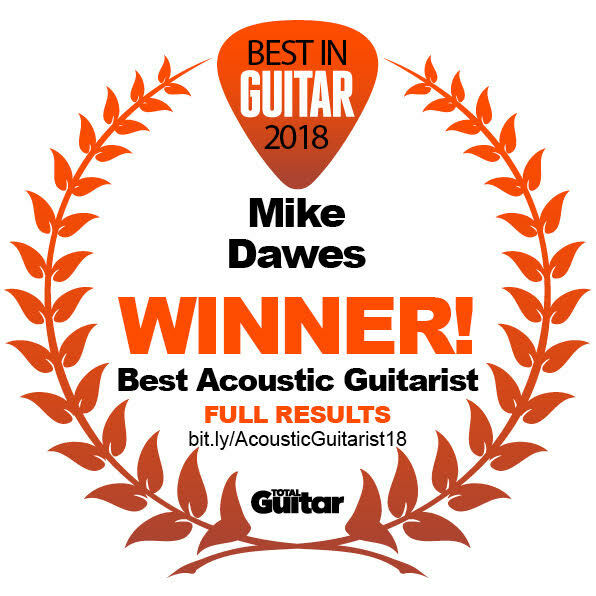 Mike was named ‘Best Acoustic Guitarist in the World Right Now’ in both 2017 & 2018 by Total Guitar Magazine/MusicRadar. His show is not just for guitar fans however, his entertaining and humorous rapport transcends the traditional guitar concert. Extraordinary virtuosity meets Monty Python via a one-man rock show. Mike has recorded with and taught multiple grammy winning artists, appeared on film and TV soundtracks, released apps, written for the world’s best selling music magazines and in addition to his solo work, currently performs alongside and in support of the legendary frontman of The Moody Blues, Justin Hayward, the debut live DVD of which entered the US Billboard charts at #2. Not only that, but Mike performs electric guitar duties with synth-pop act Nik Mystery featuring Spencer Sotelo from the Grammy nominated metal band, Periphery. Musicians including John Petrucci, Steve Vai, Gotye, and James Valentine (Maroon 5) have all spoken of their admiration towards Mike’s work. At 29 years of age, Mike has made a huge impact in a relatively short space of time. His persistent work ethic and entertainingly meticulous approach to composition and performance on a single instrument has seen raised smiles and dropped jaws all over the world. He is not a typical guitar player. On a single steel string guitar Mike is able to coax out the most unusual and subtle textures, whilst performing layers and layers of music simultaneously using complex micro-techniques led predominantly by the right hand. In a style that is hard to illustrate, the young Brit combines rock, folk, funk and pop music in an instrumental concoction that leaves listeners both confused and intrigued. However, it’s his innate musicality and ear for melody that give listeners something different. Mike is able to utilise his advanced technical arsenal to achieve a musical and emotional end, a skill set often lacking in this instrumental category. In the live arena, his British humour and electric presence sprinkle an entertainment not uncommon in a comedy club. He does not take himself seriously, but the music is taken very seriously. Mike is a rare breed of live musician. Without a spoken word he can evoke a rainbow of emotions with his music. With a spoken word he can brighten anyone’s day, English speaking or not. Throw in his staggeringly refined instrumental proficiency and you have a true, world class tour de force. 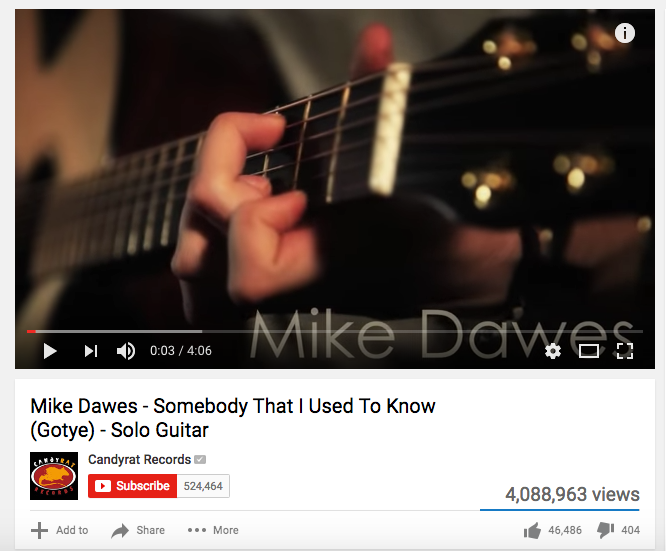 In June 2012, Mike Dawes released his first solo instrumental through the US label, Candyrat Records. This incredibly detailed arrangement of Gotye’s smash hit ‘Somebody That I Used To Know’ took on a life of it’s own when it smashed through 1.5 million views in just one day online on YouTube. Since going viral, the video found itself on the front page of Reddit, Collegehumour and hundreds of popular blogging sites. MSN news featured Mike on the front of their US web browser whilst Gotye himself praised the arrangement as his favourite cover of the song, even inviting Mike to session at his studio in South Australia. 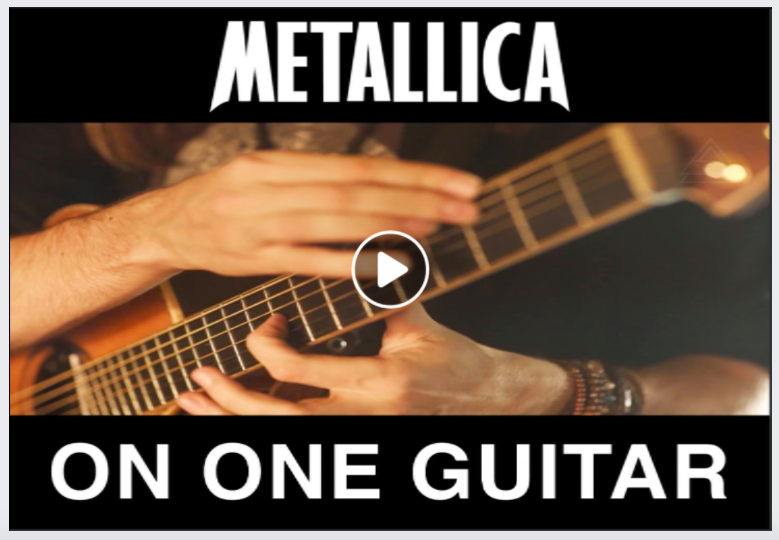 Before the release of his second full length LP ‘ERA’ in summer 2017, Mike released his typically intricate arrangement of Metallica’s ‘One’ through Metal Hammer magazine. This release smashed all previous expectations with a staggering 30 million views in just one week online. Since releasing his debut album, ‘What Just Happened?’ back in April 2013, Mike has been able to follow up on his acclaimed arrangements and compositions with a vast world tour that has taken him to all corners of the planet. The release was critically praised with consistent 5 star reviews from physical and digital media outlets, as well as users of iTunes, Amazon and more. 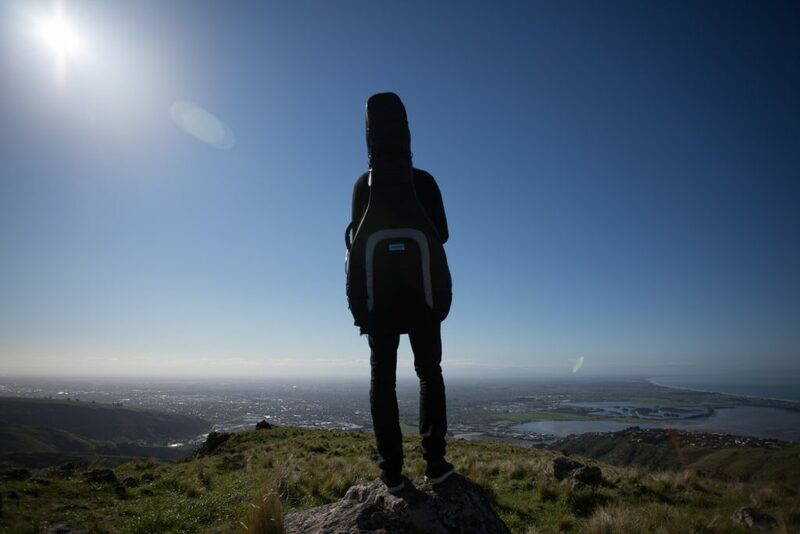 Mike lives on the road, performing constantly all over the planet from the USA to the Far East. In late 2013, he visited Beirut to perform the first ever instrumental fingerstyle concert in Lebanese history. In addition to performing, Mike is known for his guitar clinics and workshops, which he has taught all over the world. This passion for teaching is evident in his bi-monthly columns for the UK’s Acoustic Magazine, print and video columns for Guitar World Magazine (US) as well as his frequent Skype sessions developing the guitar techniques of his loyal and willing participants. The atmospheric nature of some of Mike’s music lends itself well to cinema and synchronisation. Mike’s song ‘The Impossible’ has featured on Indie releases in both the US and Turkey whilst his compositional style has been acknowledged by a major UK advertising firm, who commissioned Mike to compose and perform an exciting guitar battle for a multi-seasonal TV campaign. 2017 saw Mike teaming up with Fink on ‘Cold Feet’, the only piece of music to feature in an episode of AMC’s Better Call Saul, Season 3. Mike began his musical adventure aged four, when his parents introduced him to The Blues Brothers. In his early childhood he experimented with keyboards before picking up his first electric guitar at 12. Instantly taking to the guitar, Mike quickly became involved with the local music scene, involving himself in numerous bands and projects. In 2003, at 13, Mike reached the semi-finals of Jimmy Page’s ‘Riffathon’ competition. Having experimented with tapping techniques on his old Les Paul, in late 2007 he picked up his first acoustic guitar, A modified Taylor dubbed ‘Jean Claude’. He proceeded to embark upon a 4 year solo run which saw performances across the length and breadth of the United Kingdom, it was during this time that he developed his style. saw you yesterday at International Guitar Night, awesome! love your humour, keep it up! Mike, heard and saw you in buffalo, ny. I’m smitten! You brought me joy through your outstanding playing and playful personality. Thanks for a great night. Love the cd. when are you coming to Tucson? we’d love to have you – Tucson has a great music scene and I know you’d sell out. Just saw you play at the Aladdin in Portland. Epic! You and Justin and Julie made a great trio. VERY KOOL!! I lost interest in listening to music sometime in the 1980’s. My stereo is now outdated and no longer works. However I had to buy Mike’s two CD’s knowing full well I won’t be able to listen to them, as intended, for some time yet. A PC and ordinary headphones will have to do for now. Thanks Mike, please don’t burn yourself out until you get “down under”.